The obsession with military history might be in my genes. I have a nine-year-old grandson, and he’s totally steeped in the minutiae of World War II. He knows all about Hitler’s henchmen and all about the major battles. I wonder sometimes if it’s come down the generations. My Dad, John Cabourn, was born in 1919, just after the end of the World War I. I think Dad must have been affected greatly by the atmosphere of the times when he was a lad — and his experiences in World War II, mostly in Burma and the far east, informed everything that came after. He must have somehow, unconsciously, passed on these things to me. Dad was a tall man, very handsome, but also humble. He was rather quiet and let my mother do most of the talking. He was really easy going and was always running around after mum — but in his own way, he was a bit of a lad. All through the fifties and sixties, when I was a kid, he always had a very secure job as a postmaster. He was able to be a really good father to me and every year, from when I was about five until I was about 11, we’d go to north Wales on holiday. He’d take me out into the mountains and we’d find little churches in the deep old valleys. He always seemed to know where the trout would be in the streams. He taught me how to play table tennis — and made me into an expert in Subbuteo. Dad was of the old school. His was a generation of people who never spoke about their feelings or their worries. Dad never talked about the war to me at all. 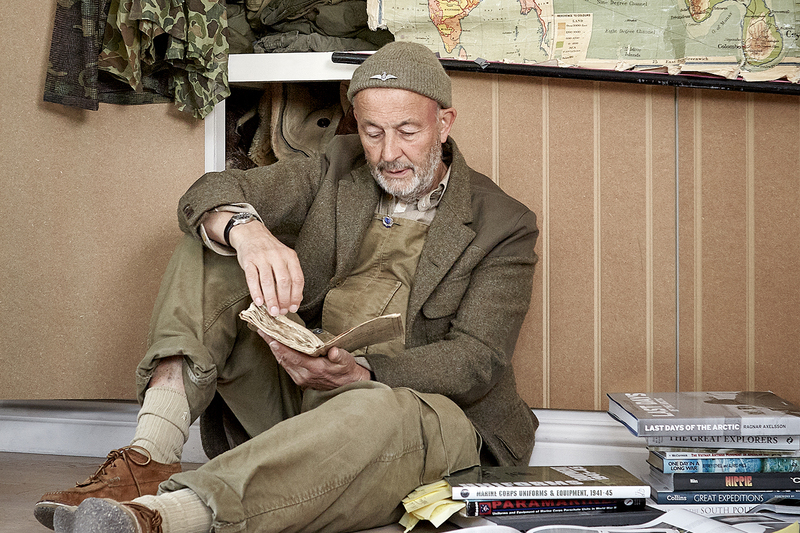 The only way he referenced the war directly was the ‘Bombay bloomers’ he wore, which were these knee-length khaki shorts that were part of the far eastern uniform of the British army. He used to do the gardening in them and he also used a pair of bayonets to run lines for the runner beans. Sadly, it wasn’t until after he died in 1981 that I found his army service book, which was full of notes and pictures from his army days. 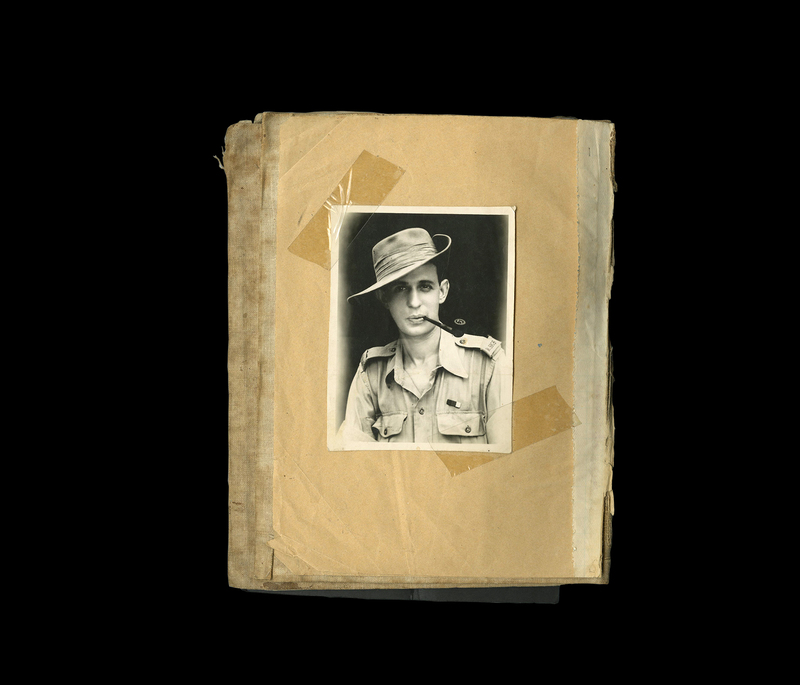 It was here that I came across these amazing pictures of him in his jungle uniform — and other shots he had taken with his Kodak box camera. This tapped into my growing interest in vintage military clothing perfectly. Though he never discussed what happened to him and never let it ruin his life, Dad came back from Burma very damaged. He’d shrunken down to about seven and a half stone when he got back, this great big 6 ft 2 man, skinny as a rake and cowering in the corner, traumatised by what had happened to him. He suffered from malaria and dysentery all his life too — and he died too young with a terribly damaged liver through these diseases, which he’d contracted during his time in the far east. The whole latter part of my career as a designer has been defined by these things. 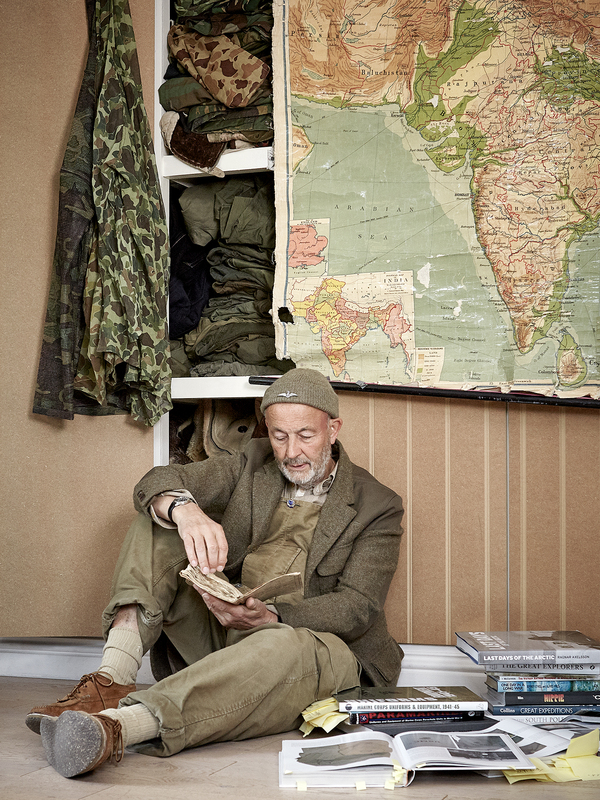 I dedicated a whole collection a few years ago to the pictures in his service book — and since then I’ve referenced all kinds of military eras, as well as mountaineering gear and workwear that were in turn inspired by it. As I write we’re getting ready a whole special limited edition range based on the clothing of the Vietnam war — as well as the vibe of the anti-war movement that was going on all around when I was at fashion college in London in the sixties. Those Bombay bloomers have a lot to answer for!